Set of 5 pieces! The UniFi AC Lite (UAP-AC-LITE) features the latest Wi-Fi 802.11ac technology in a refined industrial design and is ideal for cost-effective deployment of high-performance wireless networks. 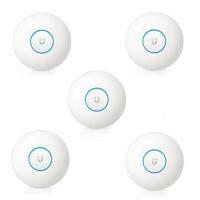 Package consists of 5 pieces of UniFi AC Lite units. Package NOT includes 24V GigE PoE adaptor! 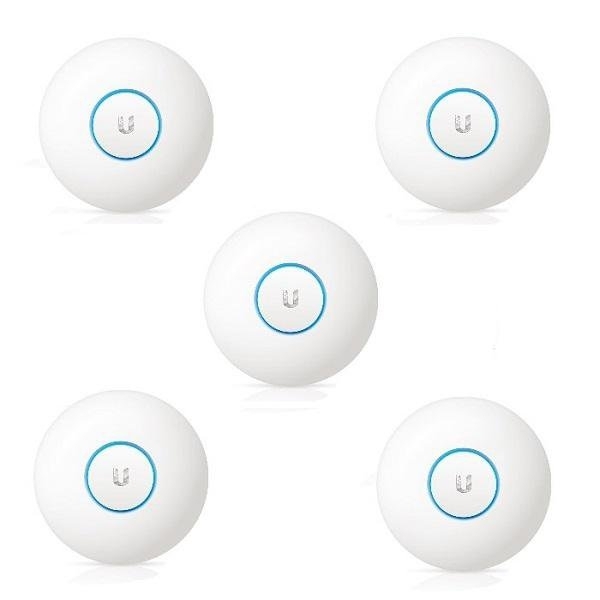 The UniFi AC Lite delivers 5x the performance of the first-generation UniFi AP while still maintaining Ubiquiti’s disruptive pricing strategy. The UniFi AC Lite AP can work with wireless data transfer up to 1167 Mbps, standard 802.11a/b/g/n/ac is supported, UniFi uses MIMO 2×2 antennas system 3dBi. The signal range is up to 122 m.
Maximum TX Power: 2.4 GHz, 20 dBm. 5 GHz, 20 dBm.